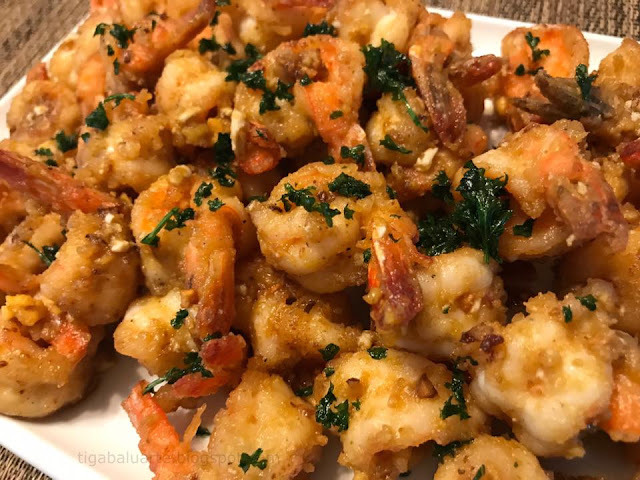 Shrimps cooked in salted egg yolks to make this recipe richer and creamier. If you like salted eggs then this recipe is for you. Easy to make and full of flavors. Peel and deveine shrimps leaving the tails on. Season with salt and pepper. Toss seasoned shrimp in cornstarch and set aside. Heat oil and fry parsley. Once crispy, remove parsley from oil and set aside. Using the same pan, fry seasoned shrimps until golden brown. Remove fried shrimp and set aside. Using the same pan, add butter and saute garlic. Add salted egg yolks and mash using the back of the ladle. Add fried shrimp to the salted egg sauce and toss for 2 minutes. Garnish with fried parsley and toss. Remove from pan, transfer in a serving dish and serve hot. Enjoy. 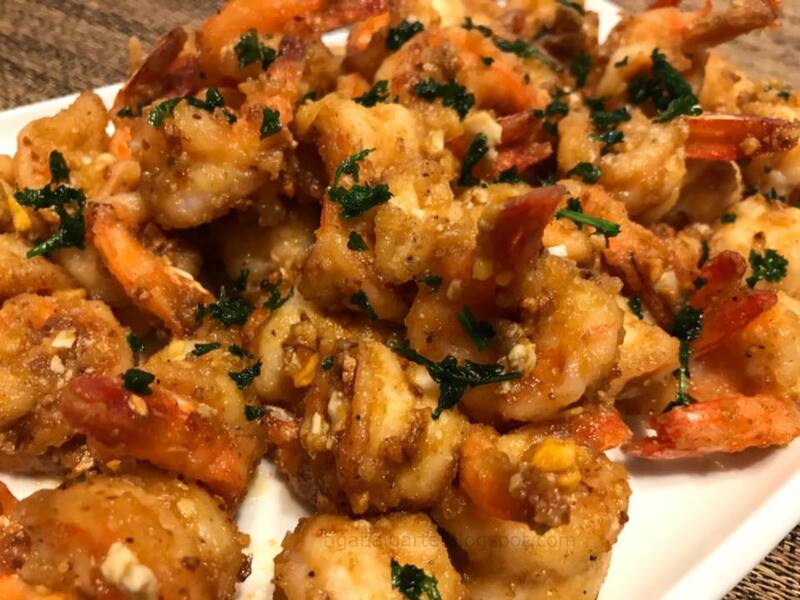 Click here for more Shrimp Recipes.